new Delhi. Before Diwali, there has been a lot of offers across the country. In such a situation, where the auto industry is also behind. The new model of one of the most preferred cars in the country has also been launched this week. Hyundai has offered tremendous offers to make its tremendous return to the market before Diwali. Hyundai Santro, launched in a new avatar, has changed completely except for its name. Bookings of this car have started from October 10, but more than 23,500 bookings have been done in the initial 12 days. 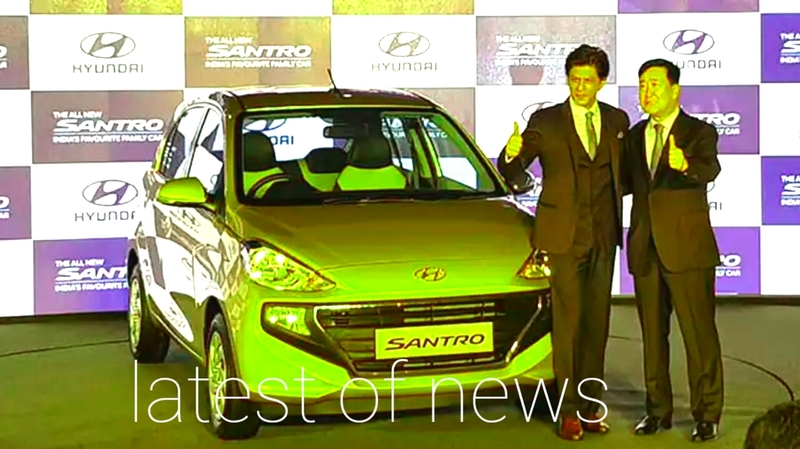 Clearly, Hyundai Santro is getting tremendous response in the market. If you are also thinking of getting a new car on this Diwali, then the company has offered a special plan for you. 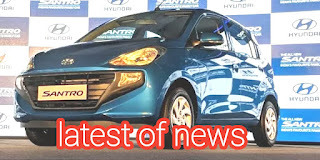 You will have to pay 11,100 rupees for booking Santro 2018 model. This offer is still on behalf of the company. According to the company, for the first 50,000 customers, a booking amount of Rs 11,100 has been fixed. In addition, if you have a HDFC Bank debit or credit card, then you can book a car online and get 10% cashback. In this case, you will have to pay only Rs 10,100 for booking. Car booking can be done on the company's website by November 30. Another important thing is that cashback from HDFC Bank will be available only when you take a car loan from HDFC. Centro 2018 has been introduced with 1.1 liter petrol engine. Along with this, the company has also given the option of CNG and automatic. The Centro 2018 model is much longer and broader than before. The car has a 17.64cm touchscreen input system installed. Also, features such as Apple Car Play and Android Auto have also been provided. ABS and driver air bags are given in all variants of this car. Speaking of the engine, Centro 1.1 petrol engine gives the power of 69 PS at 5500 rpm, while the CNG engine is equipped with 59 PS power. There are five options for speed transmission and automatic version of the car. In the petrol variant, the company will sell 20.3 km per liter, while CNG variants will mileage 30.48 km / kg. Centro 2018 has been launched in a total of five variants.